Takaleed, meaning tradition, is an ensemble led by master drummer, singer and multi-instrumentalist Abdelkader Saadoun, and features some of the most talented musicians from the Arabic world. Takaleed, meaning tradition, is an ensemble led by master drummer, singer and multi-instrumentalist Abdelkader Saadoun, and features some of the most talented musicians from the Arabic world. Abdelkader Saadoun comes from Algeria where he learnt to play Rai, the country’s native music. Saadoun brought Rai to the UK in 1988, and formed Takaleed to showcase traditional Arabic music. 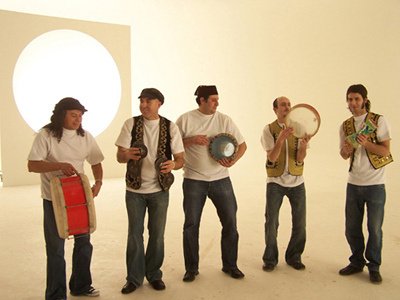 The band consists of four performers from different backgrounds who sing and play traditional North African percussion including hadjoudj, bendir, derbouka, tambourine and djembe. They are a charismatic ensemble, who enliven audiences with their infectious rhythms and dynamic stage personality. I just wanted to say the most enormous thank you for all you did to make the gala such an enormous success. Takaleed were brilliant and lovely to work with. With the hugest of thank you to all those involved for all your incredible support and look forward to speaking again soon.